A 428 half link made by Regina. 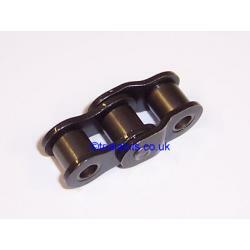 If you need a half link you should if possible use the correct one for your particular chain, but they are often hard to get hold of. This one should be suitable for 428 chains, at least until you get the correct part.